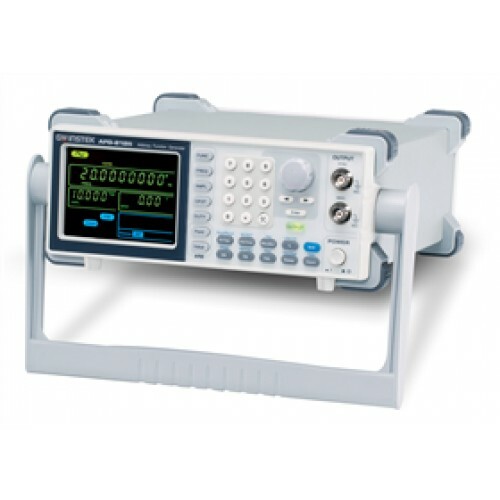 The AFG-2005 Arbitrary Function Generator is a DDS (Direct Digital Synthesized) based signal generator designed to accommodate the Educational and Basic Industrial requirements for an accurate and affordable signal source covering the output of Sine, Square (Pulse), Ramp (Triangle), Noise and Arbitrary waveforms. 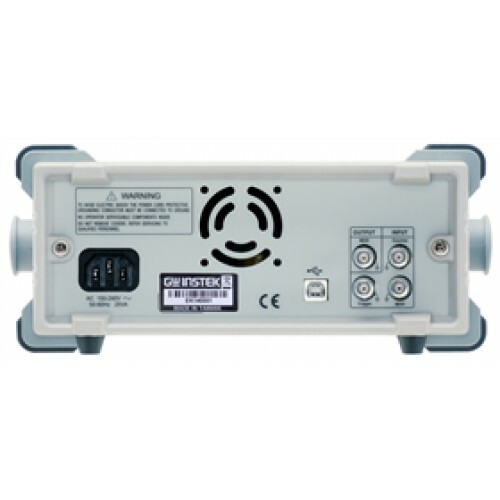 The 20M Sa/s sampling rate, 10 bit vertical resolution and 4k point memory of the AFG-2005 provide user with a flexible environment for creating the specific waveform output as needed. 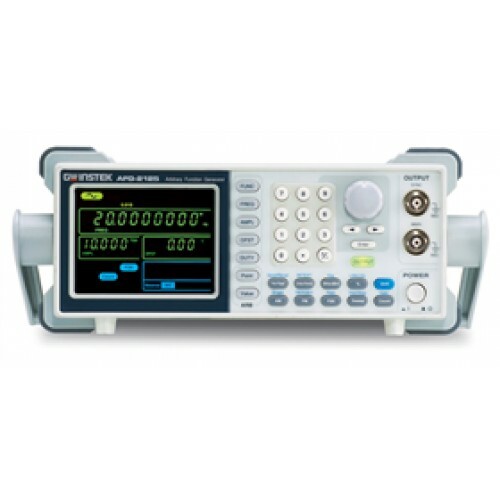 The 0.1Hz resolution of Sine, Square and Triangle waveforms and the 1% ~ 99% adjustable duty cycle of Square (Pulse) waveform are the remarkable features to greatly extend its application range in various fields. The AFG-2005 frequency bands of 5MHz.. Besides the basic features of the whole AFG-2005 also carries additional features of AM/FM/FSK Modulation, Sweep, and Frequency Counter. The user friendly interface of AFG-2005 allows user to set waveform parameters, including waveform type, frequency, amplitude, DC offset, modulation type, and duty cycle, through keypad entry and/or the knob selection, and display the set parameters on the 3.5” LCD screen. The AFG-2005 is equipped with a USB Device interface for remote control and waveform editing through a PC. A waveform editing software is provided to facilitate the waveform creation on the PC. After the waveform editing is done, the user is able to download the waveform data from PC to signal output.